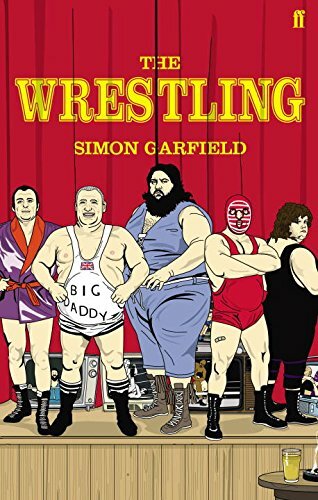 A look at British wrestling from the 1920’sto the end of World of Sport, Simon Garfield’s book is often overlooked now, but it is a real hidden treasure. The latter part of this book is unusual. Instead of a conventional narrative it is pieced together from interviews with wrestlers, giving several views on each event. This makes it a collection of firsthand accounts and invaluable to people curious about the history of wrestling, as a sport and entertainment. There are also black and white photographs and illustrations throughout that bring to life the people you are reading about and show demonstrations of the wrestling moves used. As a look at a vanished era this is fascinating, and I would say it is a must-read for wrestling fans. With most books focusing on the last twenty years of American wrestling, this gives a stark contrast to the glitz and glamour, and an in-depth look at how things differed in the UK. Simon Garfield is not afraid to explore the backstabbing backstage from the 1920’s until nearly 2000, promoters competing against each other, and the financial aspects of the business. It goes into detail about the end of World of Sport, including Ken Livingstone striking a blow against gender equality with his stance against women’s wrestling, the problems and financial issues of producing television shows that resulted in the US show being purchased instead, and the conflicts between bookers over who got TV time. It was slightly disappointing to read that certain wrestlers felt the book was disrespectful. While it might be a look behind the curtain, unusual for those times, there is a genuine respect for the business that comes across in Garfield’s writing. It is also one of the few places to preserve the memory of several of these athletes, whose matches were rarely recorded, and when they were the recordings were rarely stored. For example, I have watched wrestling for decades, and had no idea Pat Roach was a wrestler as well as stuntman. It is a detailed in-depth look at a now-gone era, and I would suggest it to any fan of wrestling, particularly British ones given the new resurgence in the scene. Posted in Non Fiction, Wrestling and Tagged Entertainment, World of Sport, Wrestling.